QCEA’s Andrew Lane and Sylvain Mossou (right) at the conference in Prague. 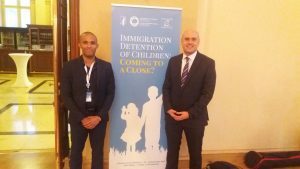 As part of our Human Rights Programme, QCEA recently attended an international conference in Prague on the subject of child immigration detention. 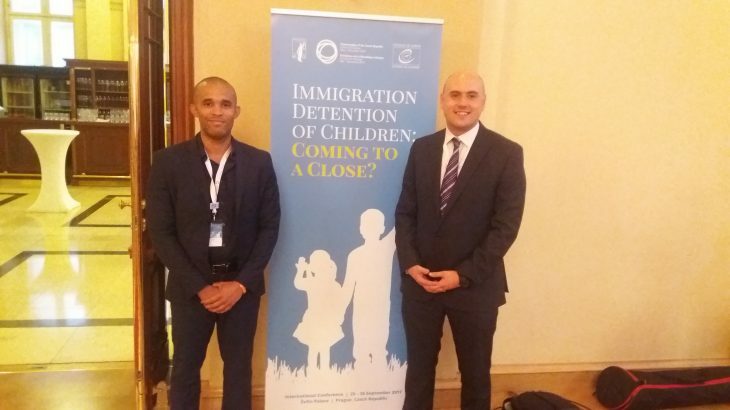 The conference, hosted by the Czech Chairmanship of the Council of Europe, was convened to dicuss the concerning trend of detaining children simply for their immigration status – a problem which has grown rapidly in recent years. QCEA has been doing extensive work on this issue and recently published a research report to that end. Our findings show that hundreds of children may still be held in detention across Europe, and that few – if any – official bodies are correctly recording the scale of the phenomenon. QCEA’s Sylvain Mossou has written a report of the conference, which was held on 25-26 September 2017.